Lyndon is a project by Vico Magistretti created in 1977 and developed over the years into a wide range that includes many variations and sizes: for both indoor and outdoor use as well as suspension, floor or wall lamps. The architect and designer’s love for simple, geometric shapes masterfully makes a comeback, returning lost time and the atmospheres experienced in a large capital city at the end of the 19th century to contemporary times in an object that is more relevant than ever. 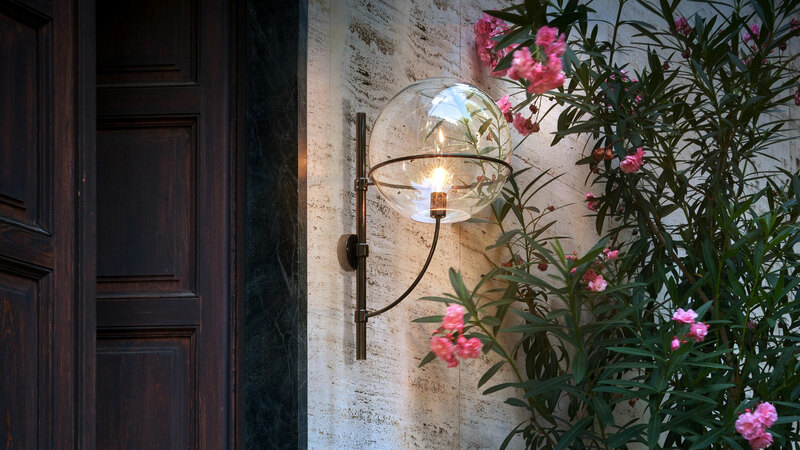 Outside wall lamp. Zinc-plated and black lacquered metal structure, globe in transparent polycarbonate.